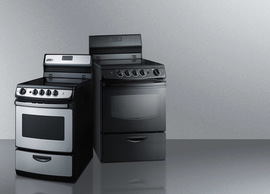 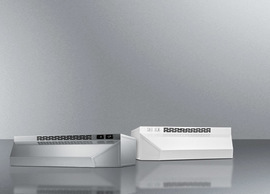 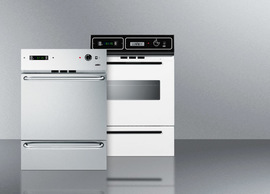 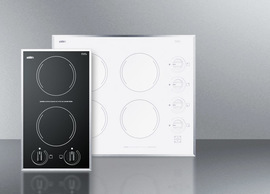 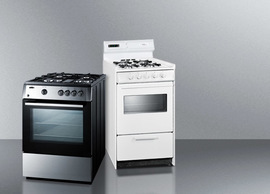 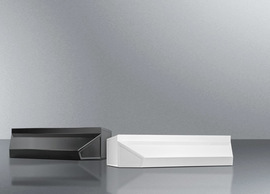 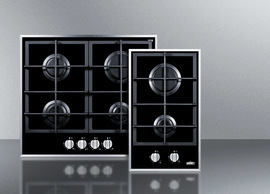 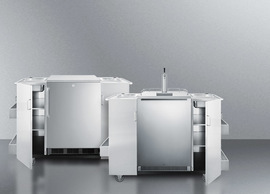 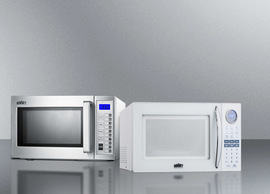 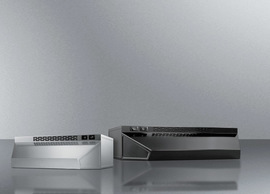 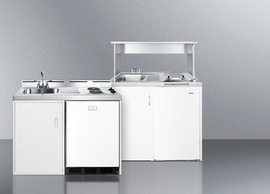 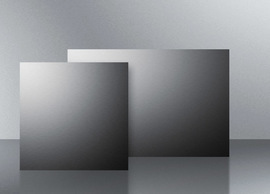 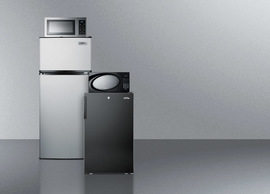 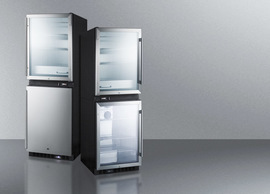 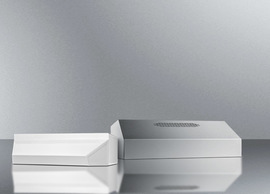 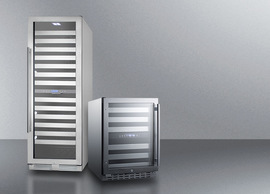 SUMMIT brings innovative value into the kitchen with all-in-one combination units for full-service use. 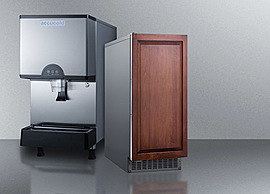 Two electric burners, a refrigerator-freezer, sink, and cabinet space create a utility kitchen with easy-fitting dimensions. 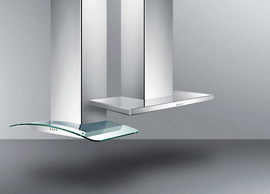 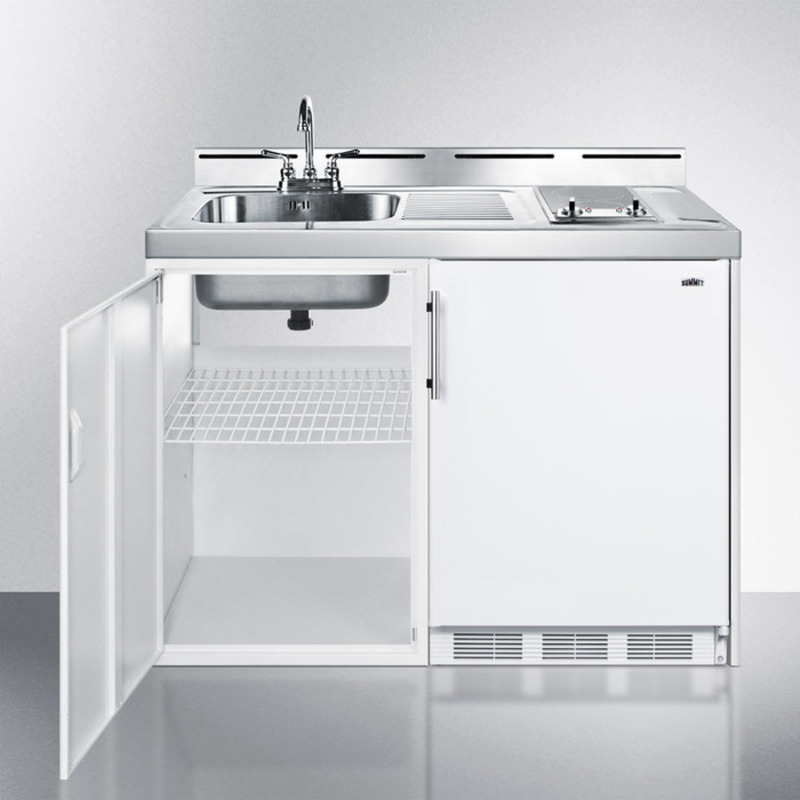 The C48ELGLASS is our deluxe combination kitchen in a full 48" width. 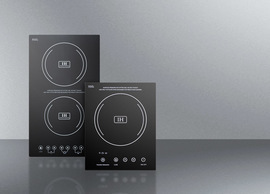 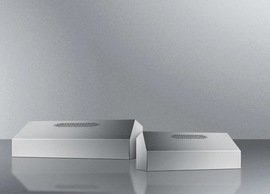 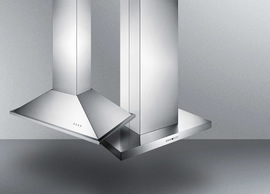 At 24" deep, it leaves you plenty of room to navigate while preparing food on two 120V smooth glass top burners. 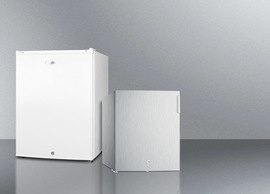 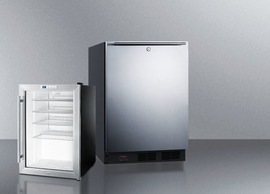 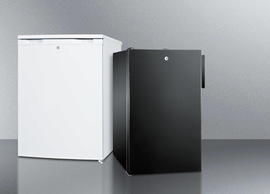 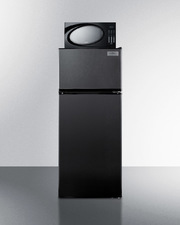 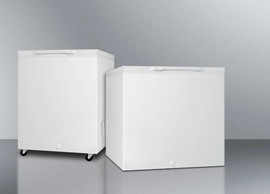 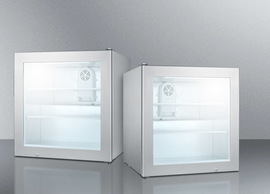 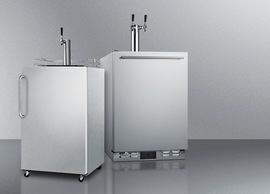 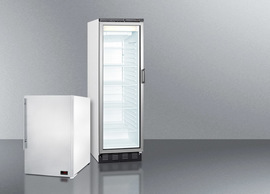 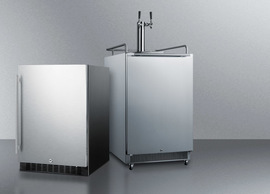 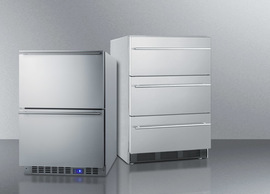 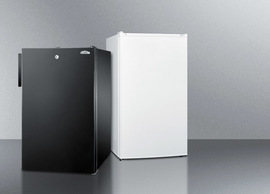 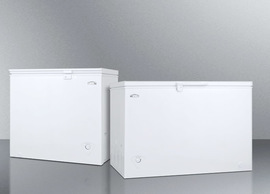 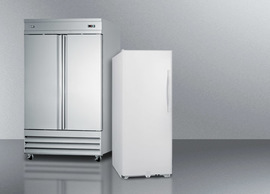 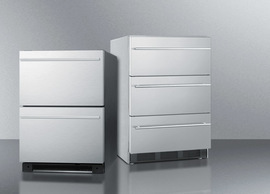 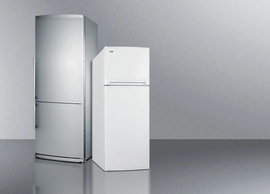 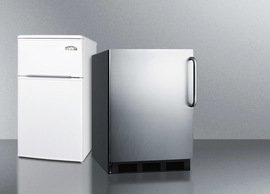 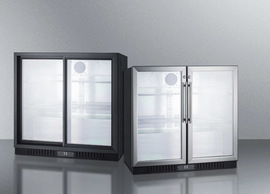 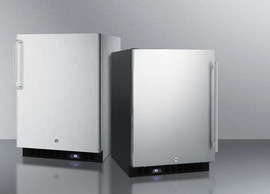 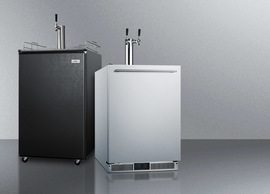 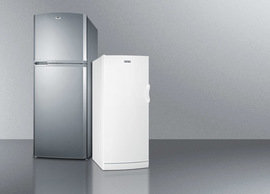 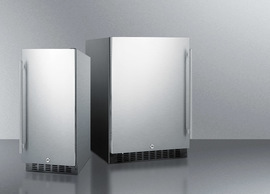 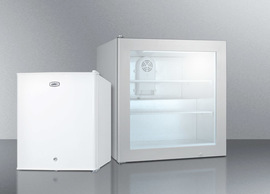 SUMMIT CT661, one of our most popular compact refrigerator-freezers, slides in under the counter. 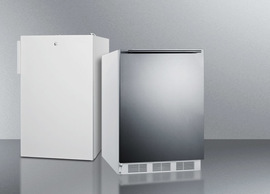 This unit uses SUMMIT's exclusive dual evaporator cooling, for energy efficiency with quality results. 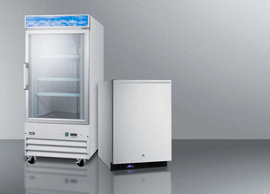 Automatic defrost eases maintenance in the refrigerator section and a manual defrost zero degree freezer keeps even ice cream frozen. 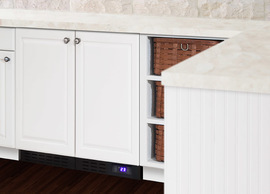 Adjustable glass shelves, door storage, a scalloped wine shelf, and a crisper provide added storage options. 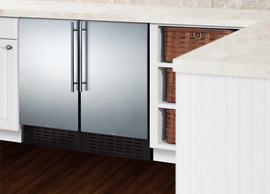 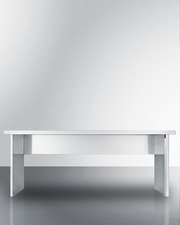 A side cabinet provides ample space for dry storage. 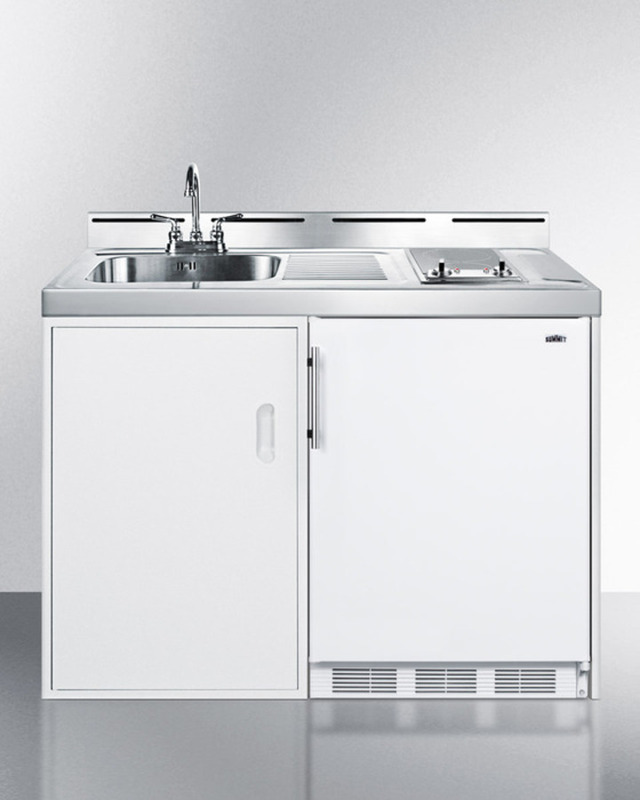 This unit includes a stainless steel work surface with a sink and faucet. 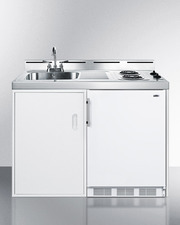 Our all-in-one combination kitchens ship fully assembled in two boxes. 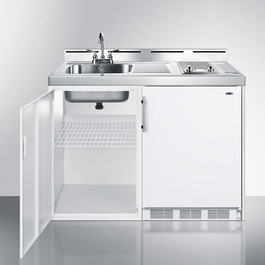 Just slide the refrigerator in and start serving. 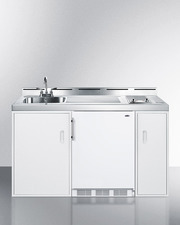 Perfect for studio apartments, hotel rooms, dormitories, assisted living facilities, and any other location in need of a full kitchen area at one great price.